Now just settle down a minute! I’m talking about vegetables. There is nothing quite like homegrown vegetables. 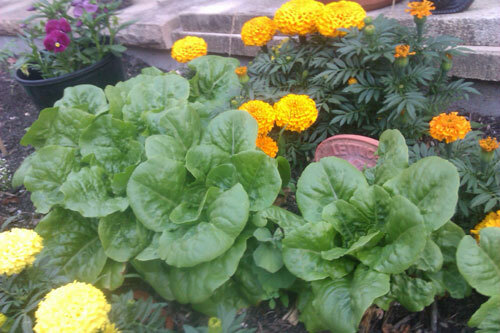 This year we’re growing lettuces, tomatoes, spinach, cucumbers and leeks. We had a bumper crop of strawberries and tomatoes last year and are hoping for a better one this year. This year my 3 year old boy is really into planting seeds. He takes the buds off the camellia tree and plants them into the ground. He then wants to water them and watch them grow. It’s so lovely to see him recognise how plants grow. There is nothing like a fresh tomato straight off the vine! Homegrown veggies – they’re the best! The marigolds have kept away the snails and slugs but not the possums or wallabies!